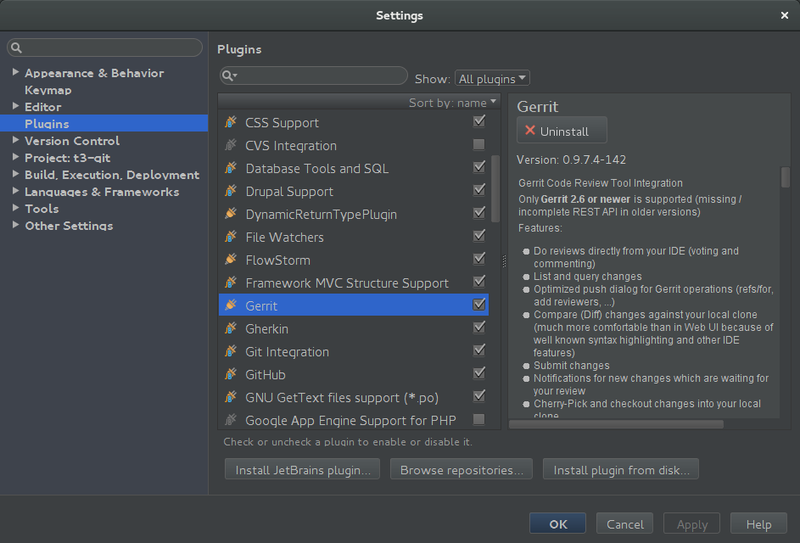 There is a very handy plugin for PHPStorm which will get Gerrit into the IDE PHPStorm. In order to make it work just install the plugin by opening up PHPStorms preferences and navigate to Plugins. Click Browse Repositories at the bottom and enter Gerrit in the search box. 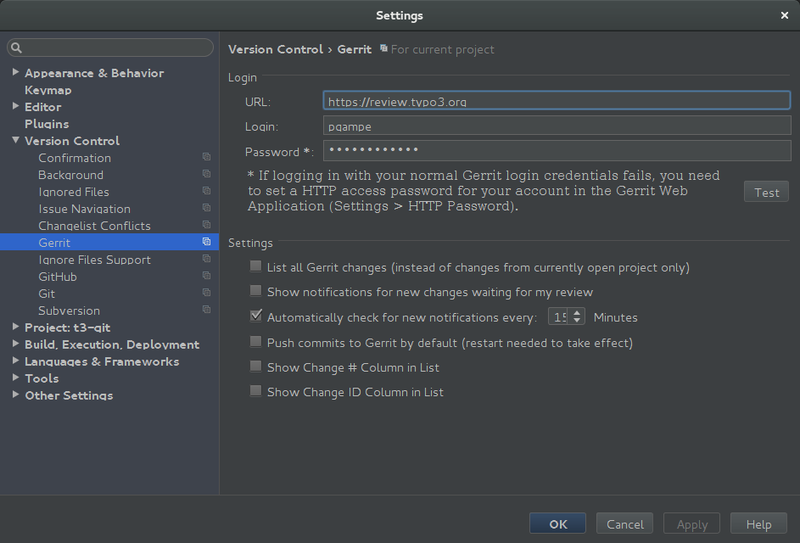 After restarting PHPStorm you need to go back to PHPStorms preferences and navigate to Settings > Version Control > Gerrit. Enter https://review.typo3.org as the URL and add your login credentials you use on TYPO3.org. The Gerrit module appears at the bottom next to version control. For further reference, refer to the screenshot above. The UI and options follow the Gerrit web interface and integrate into PHPStorms native look, feel and workflow.